The Royal Society offers Newton Mobility Grants to provide international researchers with funding towards travel, subsistence and research expenses for either a one-off short visit to explore opportunities for building lasting networks or for bilateral visits to strengthen emerging collaborations. 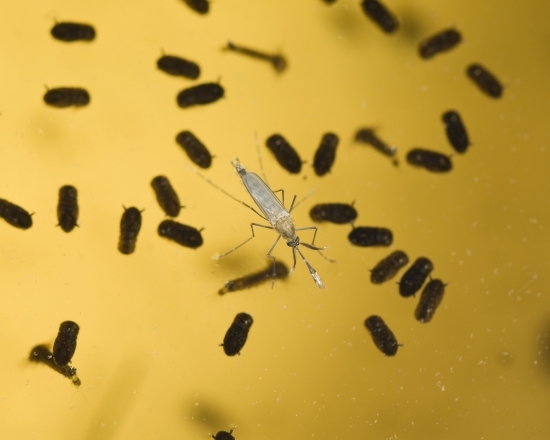 A mosquito sits on the water surface above larvae and pupae. How do I apply for this scheme? This scheme is currently closed to applications. Successful candidates may wish to consider subsequently applying for a Newton International Fellowship or Newton Advanced Fellowship to consolidate partnerships. The skills and knowledge gained should lead to changes in the wellbeing of communities and increased economic benefits. Strengthen research capacity of the partner countries - by facilitating training and skill transfer from the UK to partner countries. Support excellent research - by linking the best researchers in the UK with the best researchers and their groups in partner countries and providing support for initial exploratory research. Establish long term research links - between both partners to ensure sustainable research capacity in partner countries and benefit to the UK research community in the longer term. This scheme is funded by the Department for Business, Innovation and Skills as part of the Newton Fund. Applicants must have a PhD or equivalent research experience and hold a permanent or fixed-term contract in an eligible university or research institute, which must span the duration of the project. Collaborations should focus on a single project involving overseas-based scientist (“the Applicant”) and UK-based scientist (“the Co-applicant”). For partnerships with China, an additional grant is available from NSFC on a cost share basis, to contribute the costs of the collaboration. For further information on the cost share please contact NSFC. Up to £2,000 of the total amount requested from the Royal Society can be spent on research expenses and consumables. Applications should be submitted through the Royal Society’s grants and awards management system (Flexi-Grant®). Applications are initially reviewed by members of the International Exchanges Scheme panel with the most appropriate scientific expertise. Following this a shortlist is drawn up which is reviewed by the panel Chair before a decision is made. Results are available approximately 4 months after the round closes. In the case of applications with China, the overseas applicant must simultaneously submit a proposal for an additional amount up to/equivalent to £12,000 to China NSFC our partner organisation, with whom the Royal Society has a funding agreement. Further information can be found in the International Exchanges Cost Share programme. Please note that confirmation of support from the UK and overseas heads of department will need to be completed before the advertised deadline in order to successfully complete and submit the application. Your Research Office will not be able to approve your application for submission to the Royal Society until the departmental supports and application form have been completed. Applicants should bear this in mind when coordinating the completion of the application prior to submission. Brazilian State Funding Agencies, articulated by its National Council (CONFAP) and the National Council for Scientific and Technological Development (CNPq), are launching a call for proposals offering support to researchers based in UK Universities and Research Institutions, who are willing to work in research institutions in Brazil, in collaboration with local colleagues. Application deadline Wednesday 25 March 2019. Find details of the call for proposals here. The International Researchers Fellowships Programme and Fellowships for Visiting Scientists and Scientists on Sabbatical Leave provide opportunities for researchers in the UK to develop collaborations or pursue academic research at Universities or Institutions in Turkey. The Chinese Academy of Sciences (CAS) offers the CAS President’s International Fellowship Initiative (PIFI) to support highly-qualified international scientists and postgraduate students to work and study at CAS institutions and strengthen their scientific collaboration with CAS researchers. The Newton Fund is part of the UK’s official development assistance. Its aim is to develop science and innovation partnerships that promote the economic development and welfare of partner countries. The Newton Fund was launched in 2014 and originally consisted of £75 million each year for 5 years. In the 2015 UK Spending Review it was agreed to extend and expand the Fund. The Newton Fund was extended from 2019 to 2021 and expanded by doubling the £75 million investment to £150 million by 2021, leading to a £735 million UK investment to 2021, with partner countries providing matched resources within the Fund. The skills and knowledge gained through these awards should lead to changes in the wellbeing of communities and increased economic benefits. 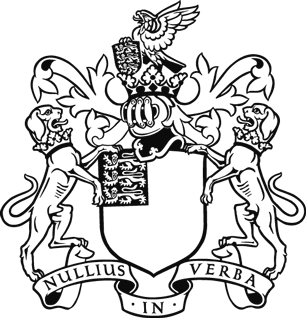 The Royal Society is one of several contributing partners to this scheme.